Flowering fruit platter "Sustainability Commission"
Stefan was awarded “The Sustainability Commission Award 2009” from Ruskin Mill Educational Trust, supported by the Arts Council, Galvanize Sheffield festival of Contemporary Metal, and Freeman college. It fits closely into 300mm cube. 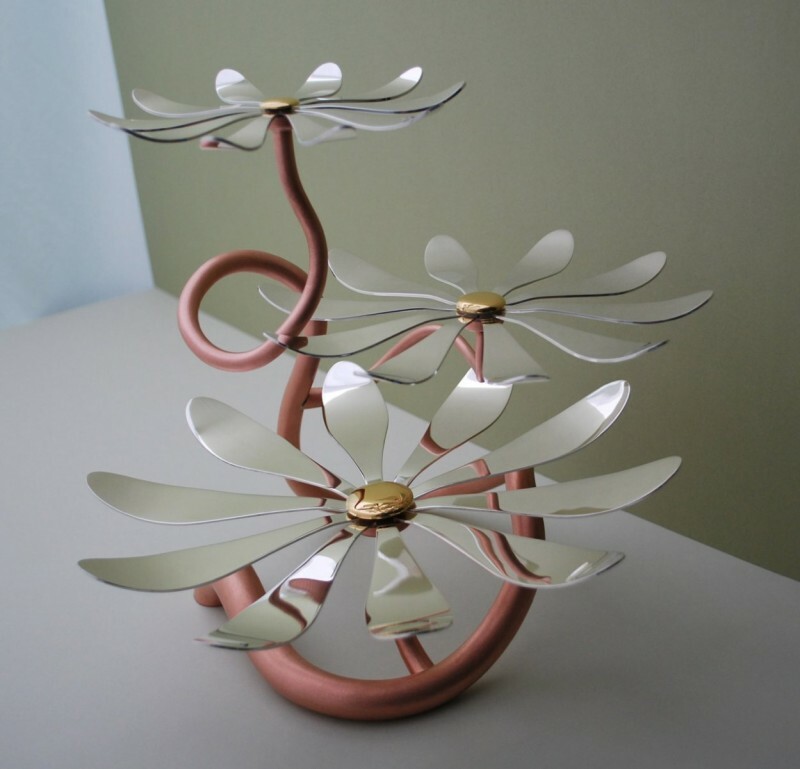 Tooke forged the stem from a single piece of copper bar, one of the most recycled metals. 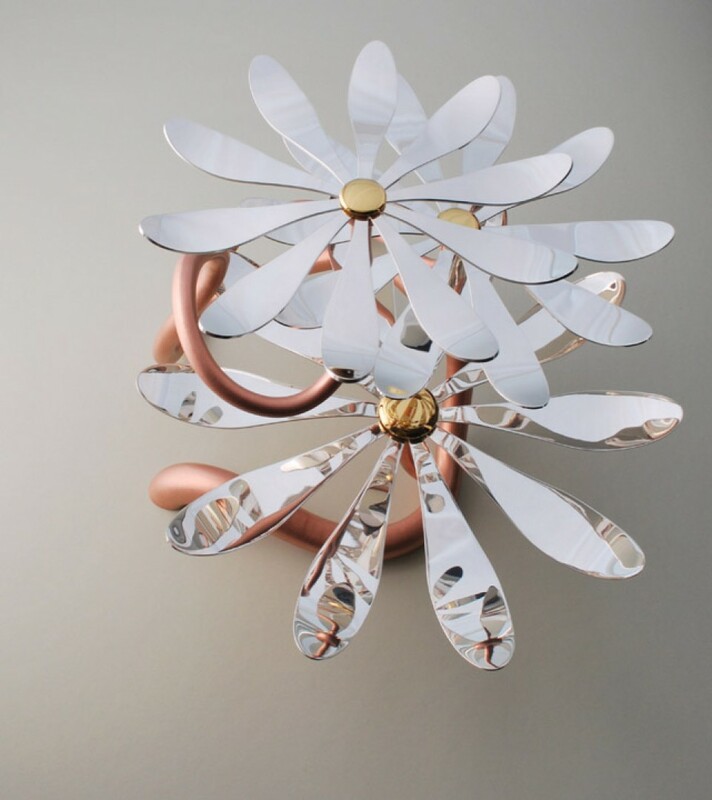 The petals were saw pierced and malleted the from entirely recycled sterling silver sheet (supplied by Greg Valerio, a pioneer in the fair trade, ecologically responsible movement in the jewellery industry. He is introducing the world’s first fair trade gold into the market in the UK.) The buttons in the centres of each of the flowers are gold plated sterling silver.